Last Thursday Endorphina launched their new video slot, Durga. It’s not something ground breaking or unique. 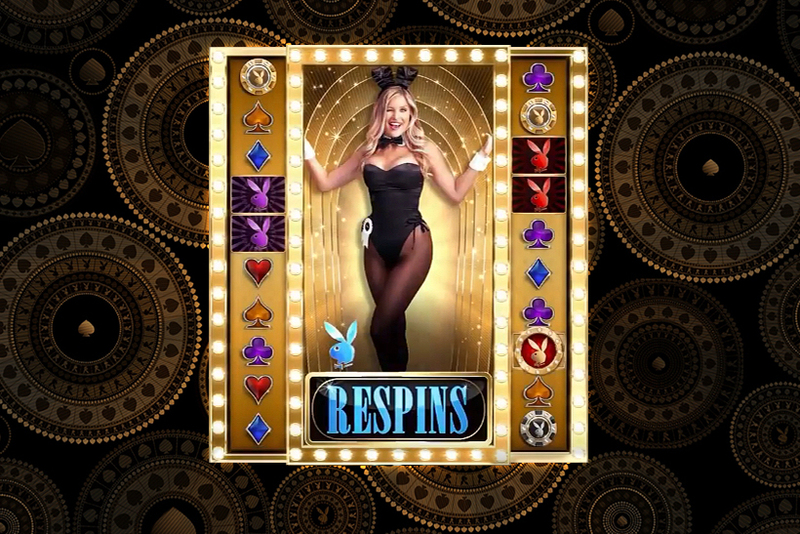 The game has 5×4 reel set, card symbols from 10 to A as low paying symbols, wilds, scatters and free spins. 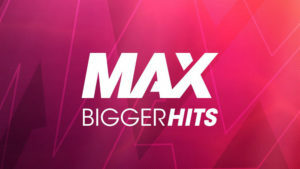 Overall, Durga isn’t that exciting as some of the greatest hits produced by NetEnt or other premium software suppliers. It offers common slot features and quite simplistic visuals, although the quality of graphics is excellent. What or Who Is Durga? Durga is a Hindu goddess which fights the devil in order to protect humans. The devil looks pretty much similar to what we got used to – ugly and with horns. Durga, on the other hand, is a beautiful lady, but she has 8 hands and, therefore, looks more like a spider-woman. The goddess is armed better than any SWAT soldier. In each of her hands she has some sort of weapon or defense tool, so she is ready to put up a good fight. 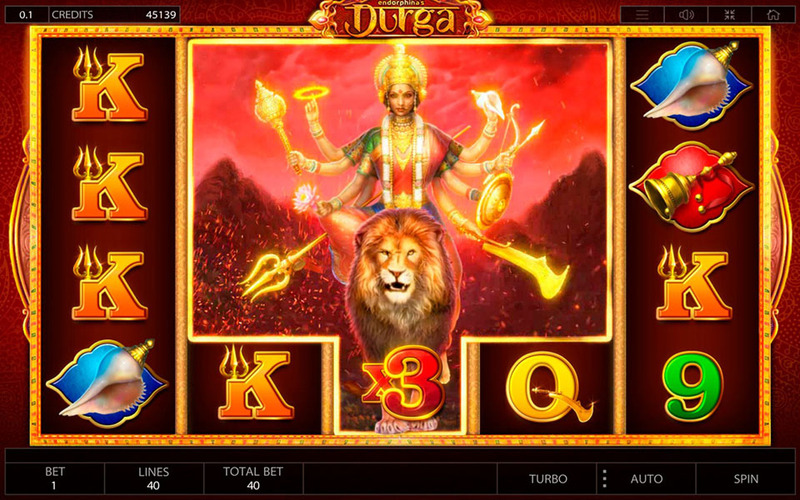 Both mythological figures appear on the slot reels. The devil, called Mahisha, is a scatter symbol which can trigger free spins. 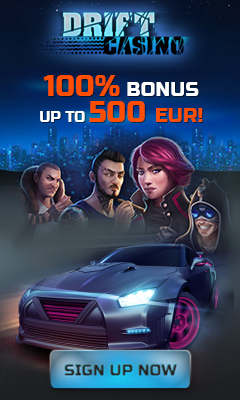 Before entering the bonus game, players are offered to choose between different number of spins and multipliers. 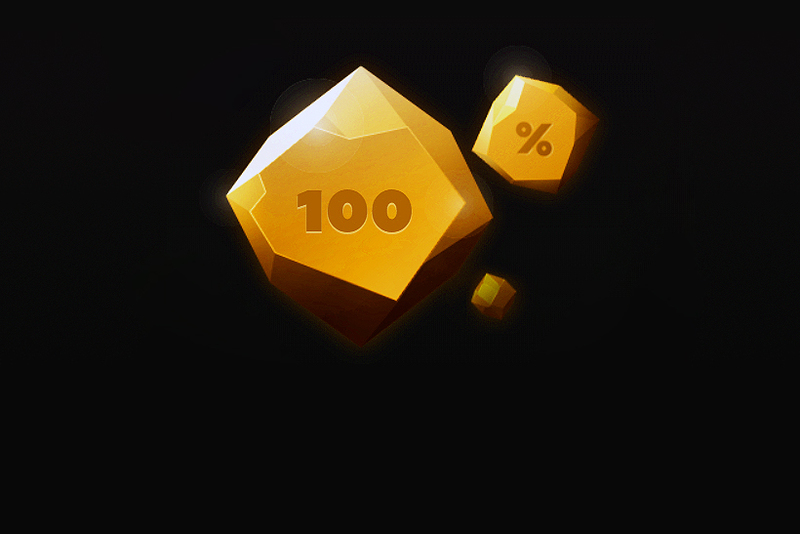 There can be as many as 28 free games, but wins will be multiplied x1. 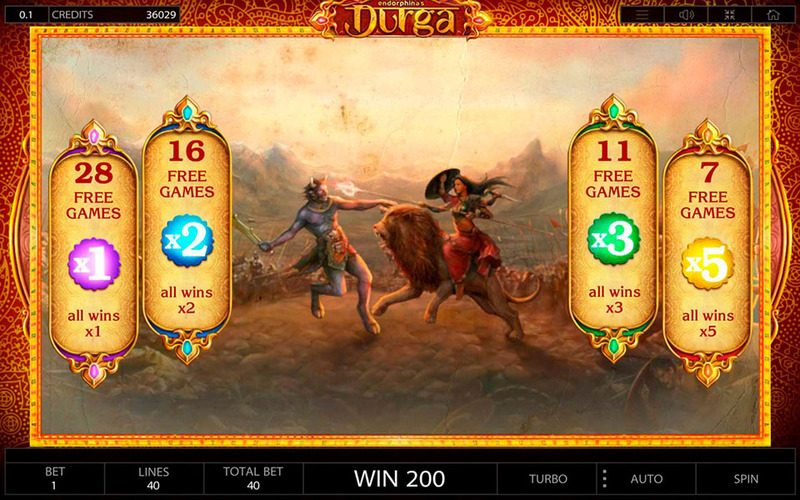 Minimum number of spins is 7 and all wins in this case are multiplied x5. Lion is a regular wild symbol, but it can expand. It’s only when wilds expand players can see Durga. Apart from expanding wilds, players will enjoy Turbo Mode and Risk Game. That’s basically it, nothing special. Last Thursday Endorphina launched their new video slot, Durga. It’s not something ground breaking or unique. 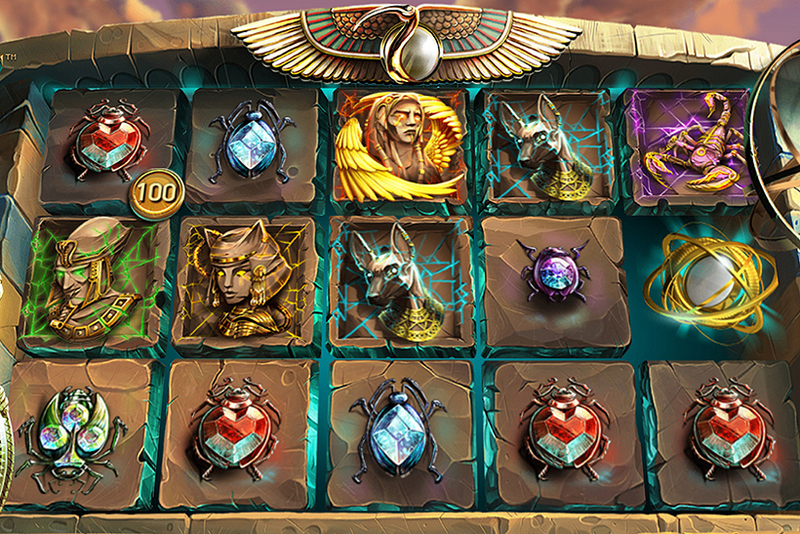 The game has 5x4 reel set, card symbols from 10 to A as low paying symbols, wilds, scatters and free spins.